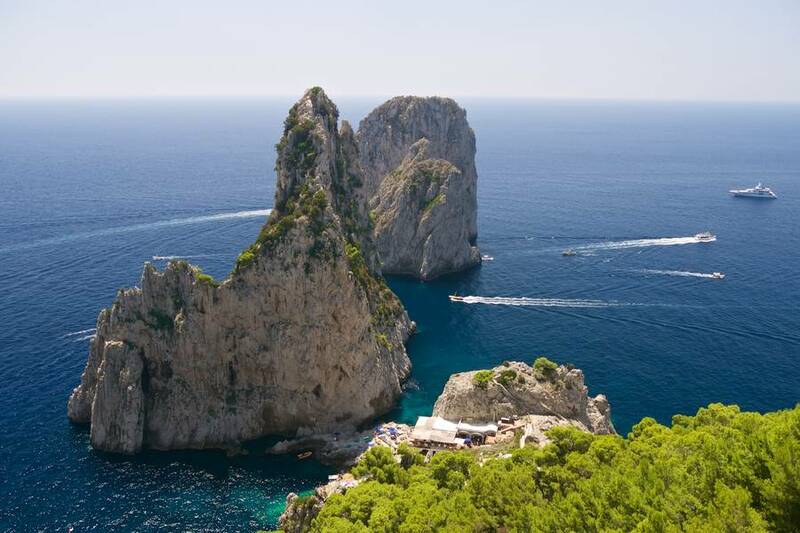 A longstanding favorite amongst glamorous globetrotters, Da Luigi ai Faraglioni is part of the history of Capri. 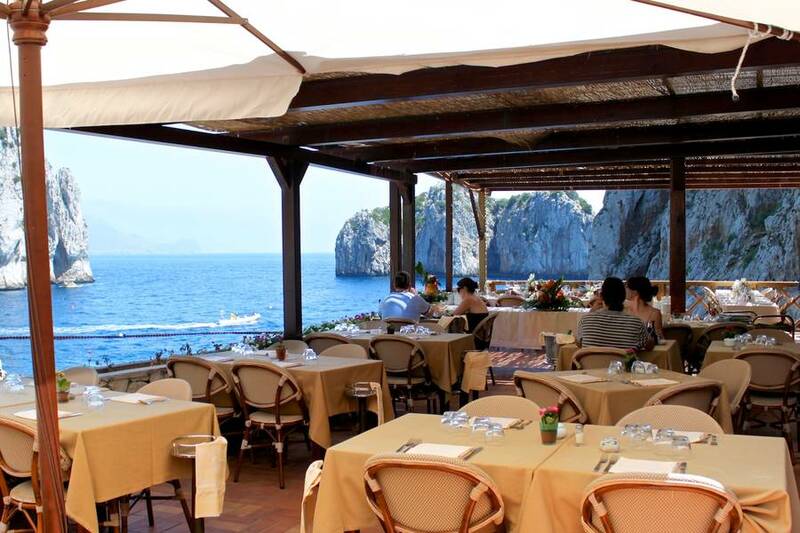 Ever since 1936, when the beach club nestled at the feet of the Faraglioni first opened, holidaymakers have been coming here to enjoy the sun, the sea, the excellent fish cuisine and the inimitable, casual-chic atmosphere which, together make Da Luigi ai Faraglioni so unique. 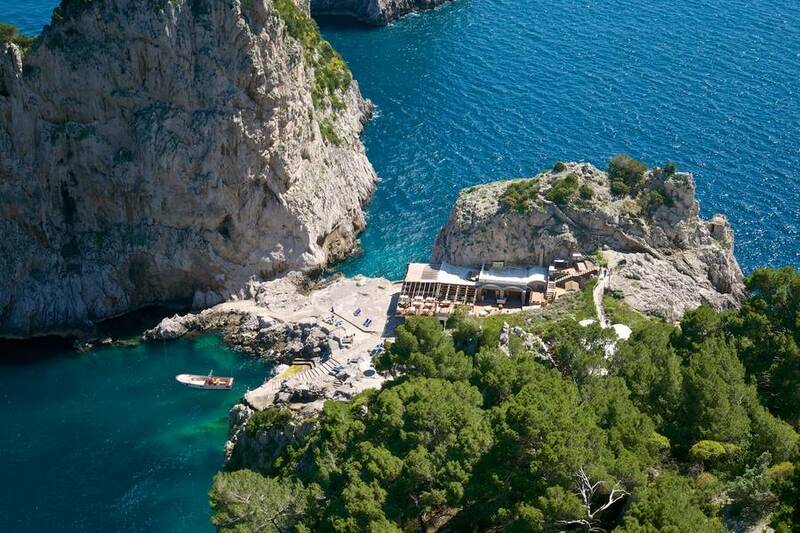 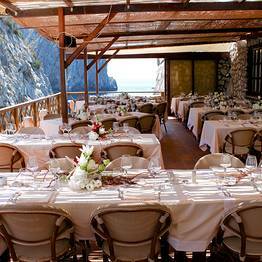 Da Luigi ai Faraglioni has everything you might need for an unforgettable day by the sea. 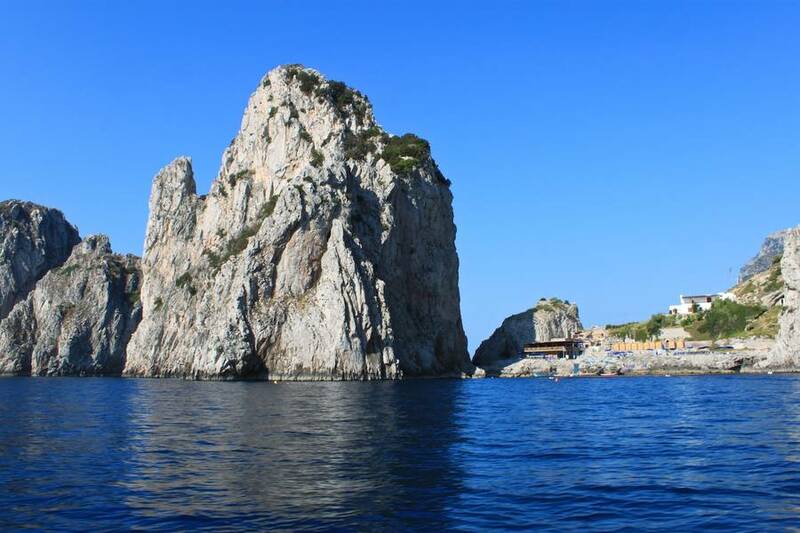 A swim in the crystal clear waters washing around the Faraglioni rocks is a rare privilege that only the customers of Da Luigi ai Faraglioni are granted. 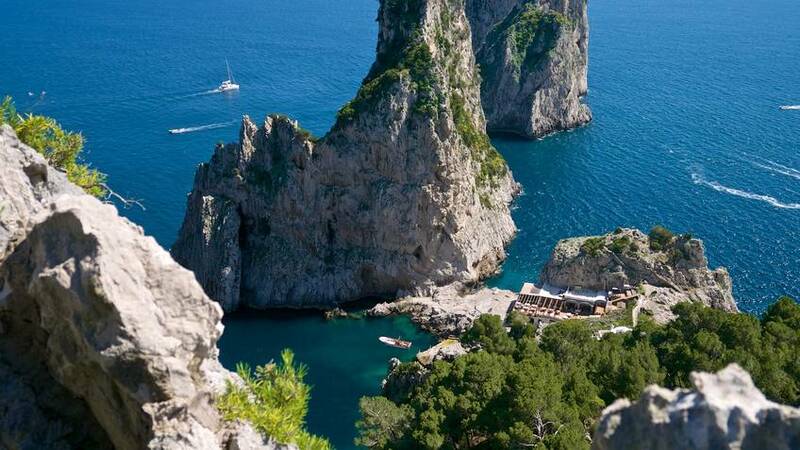 Add to this the small sundecks hidden amidst the rocks, the large sea edge terrace, the spacious beach cabins, stylish sun loungers, deck chairs, beach umbrellas and the friendly attentive service of all the staff, and it's easy to understand why so many clients choose to spend great part of their holiday on the Island of Capri here. 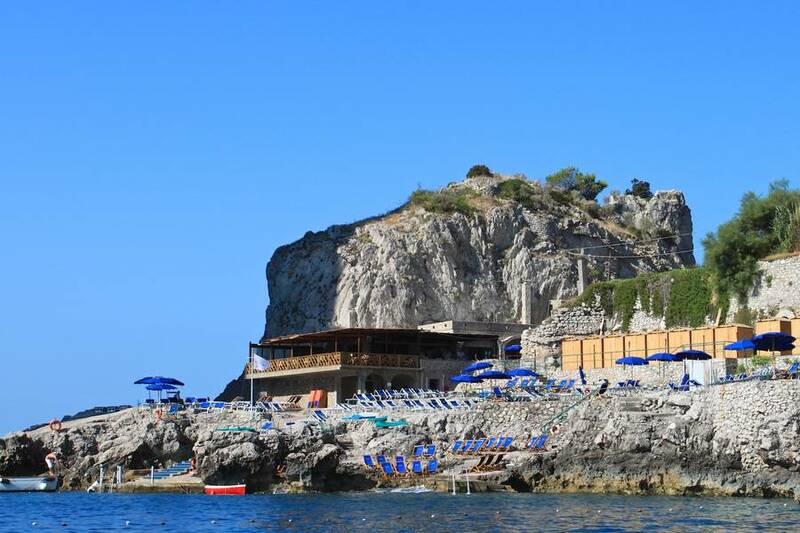 Open daily from the end of April to the 1st of October. 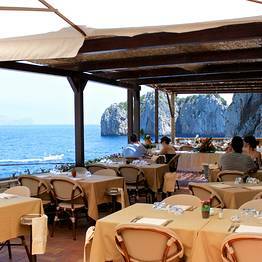 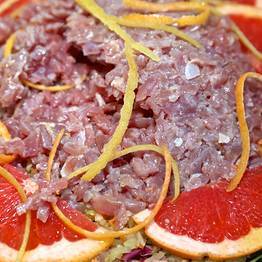 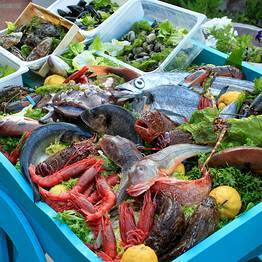 A day spent at Da Luigi ai Faraglioni invariably includes a lunch at the beach club's highly acclaimed restaurant. 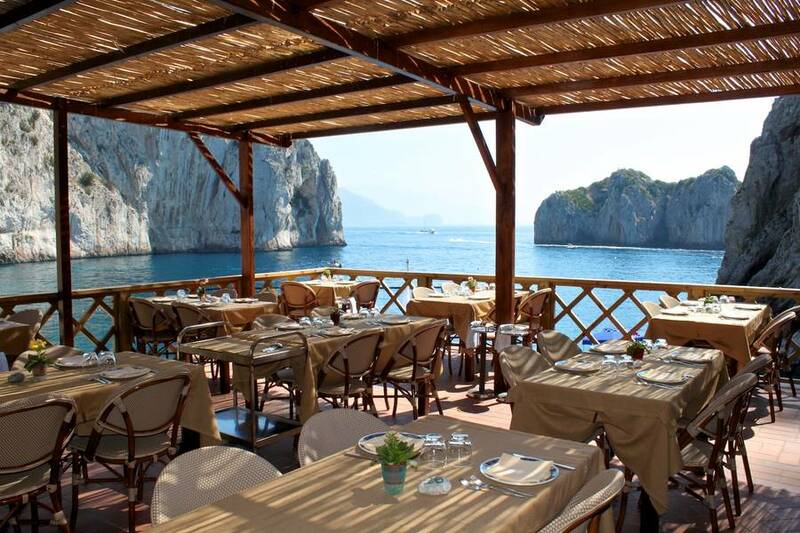 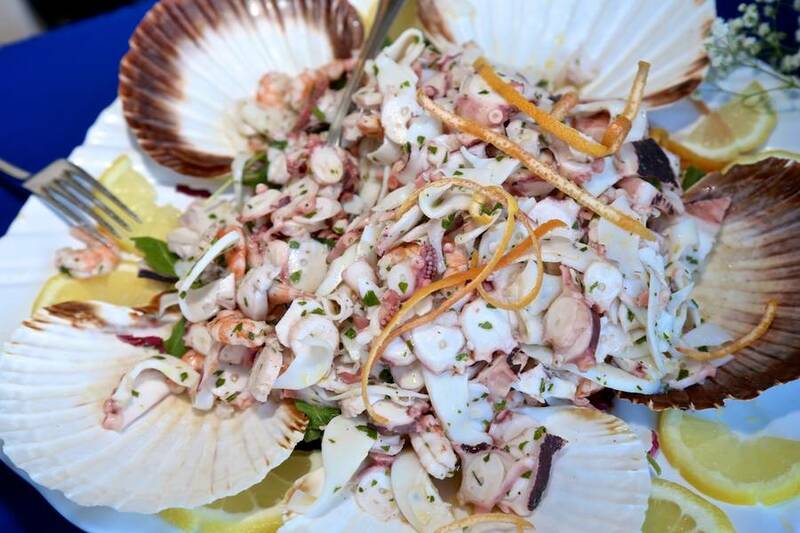 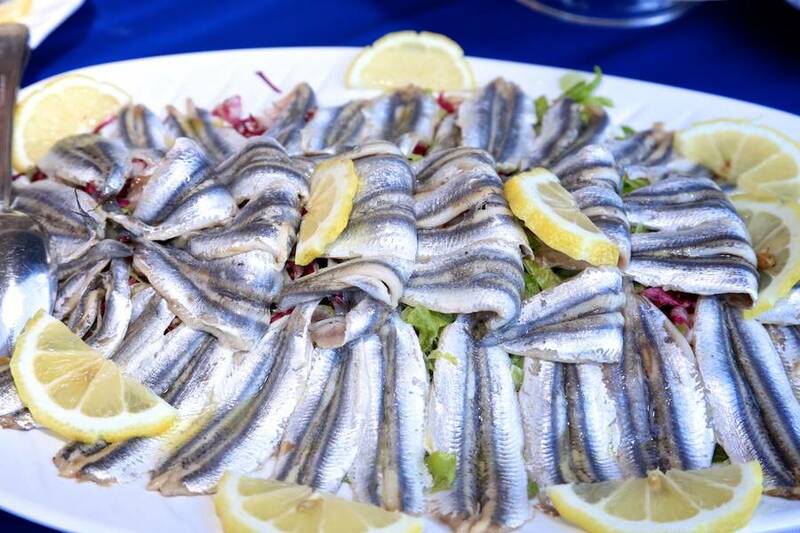 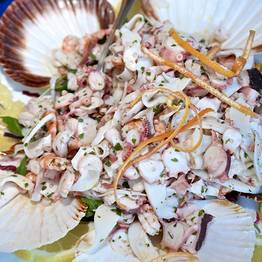 From midday until sunset, in the shade of a characteristic pergola, customers have the opportunity to enjoy all of the island's best-loved specialties, delicious fish dishes. 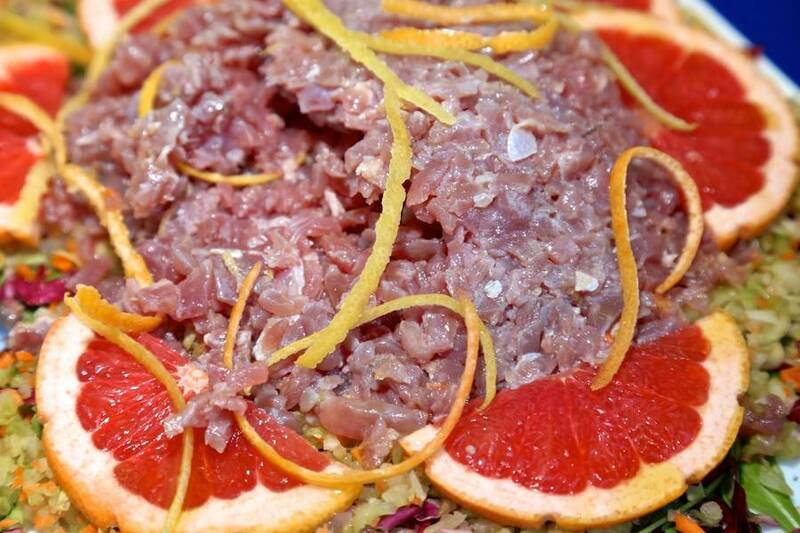 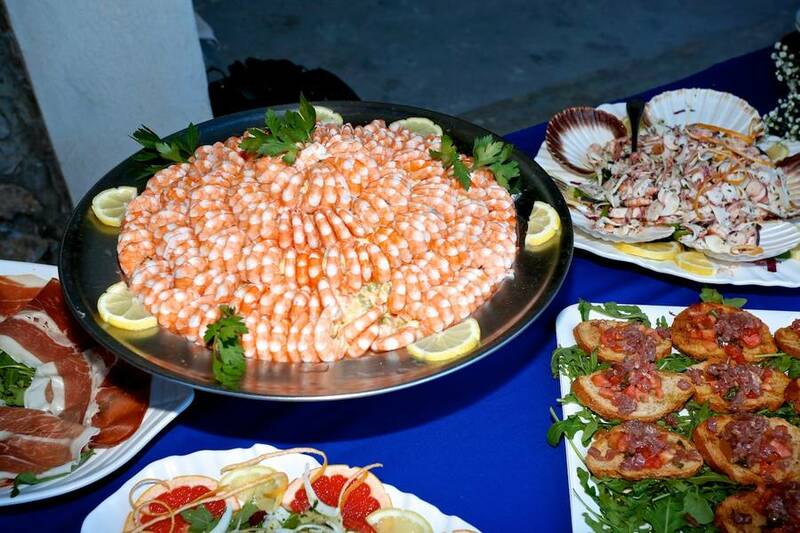 and an exciting range of salads. 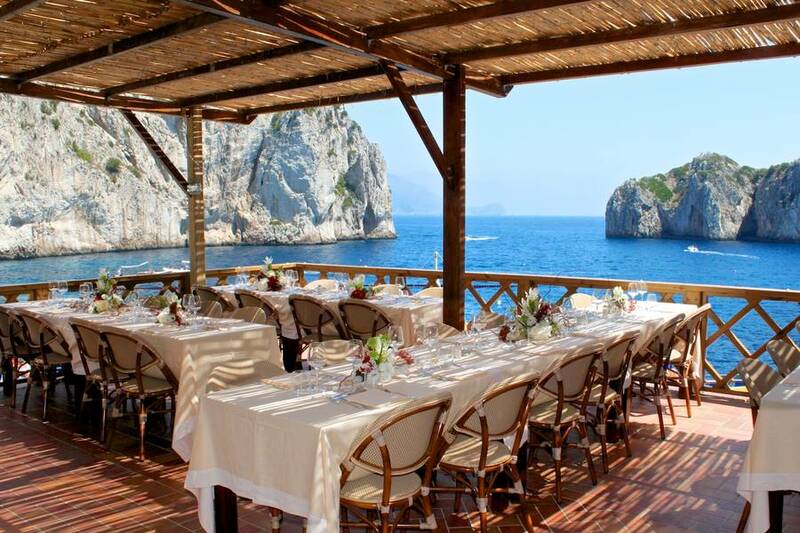 Those wanting just a quick bite to eat, will find what they're looking for at the snack bar which also serves an excellent selection of aperitifs and cocktails to be savored on your sun lounger. 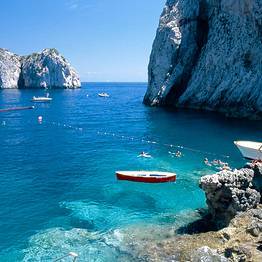 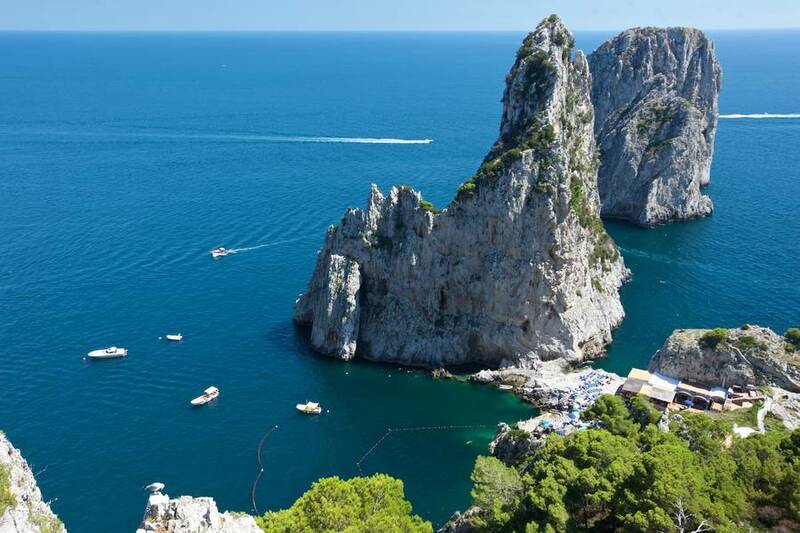 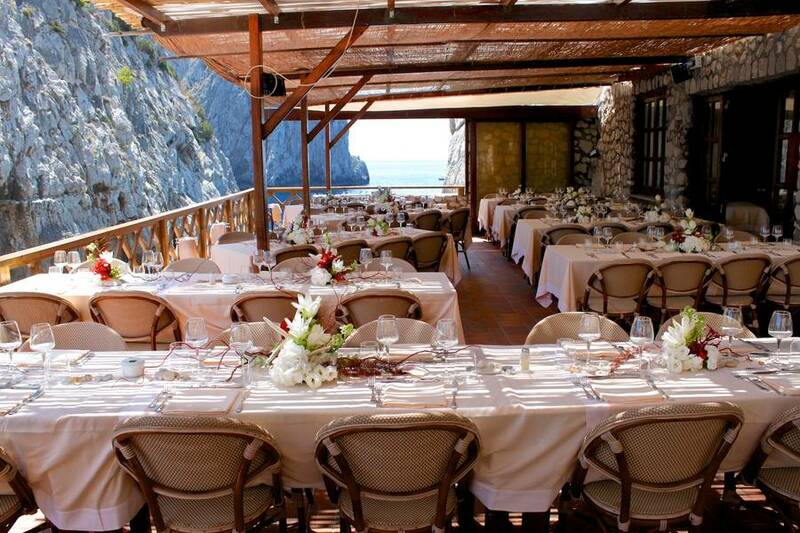 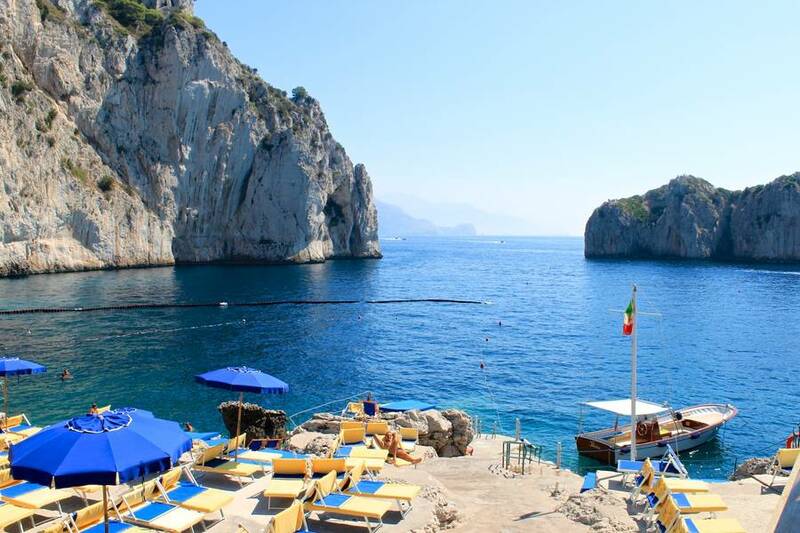 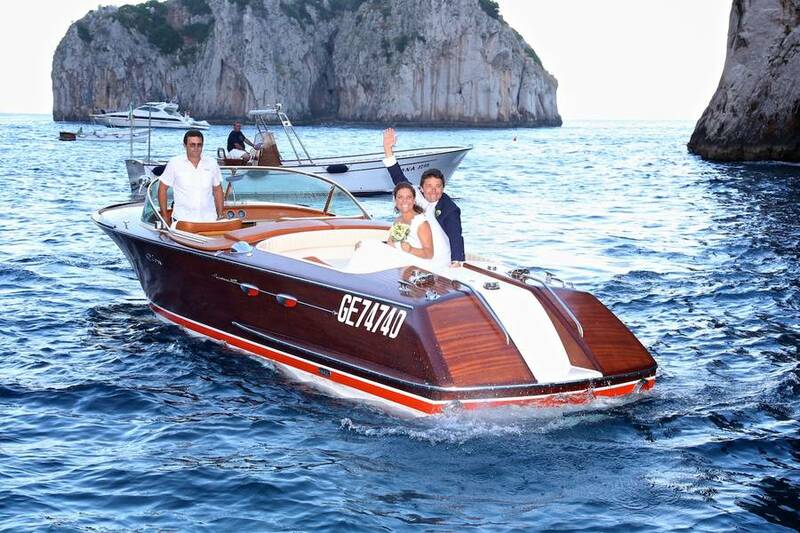 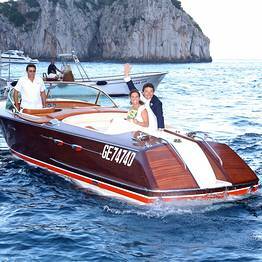 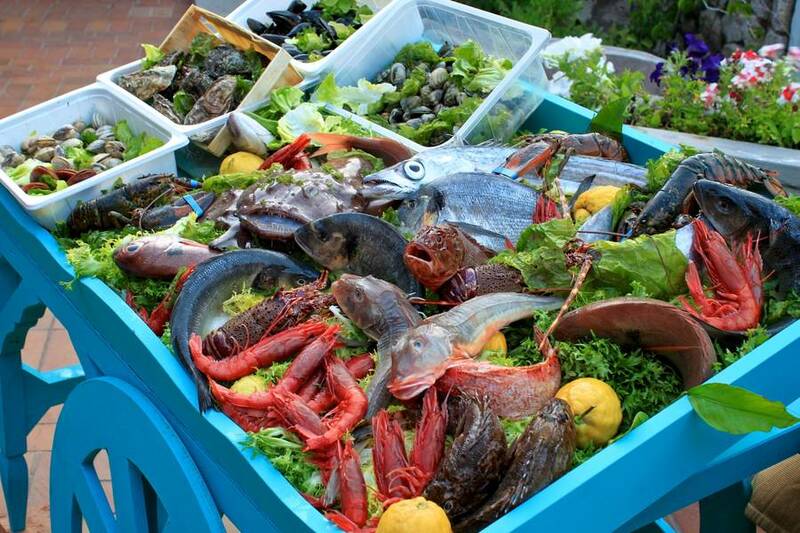 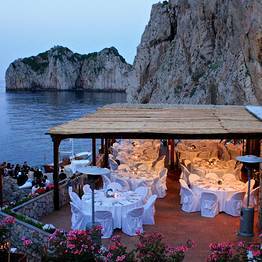 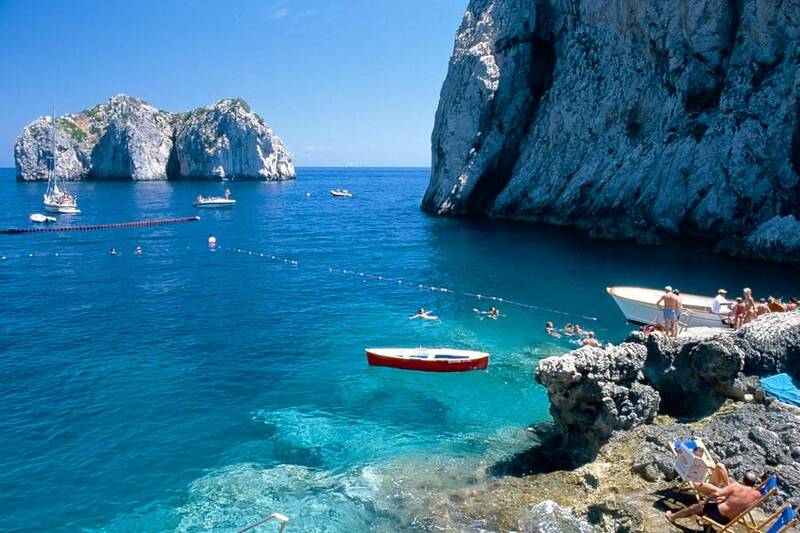 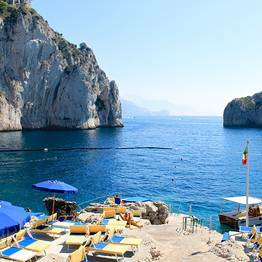 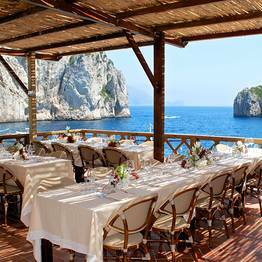 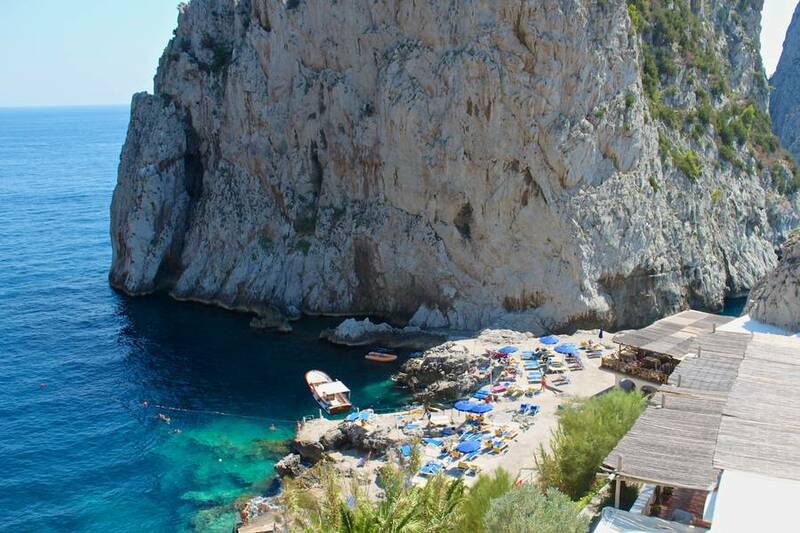 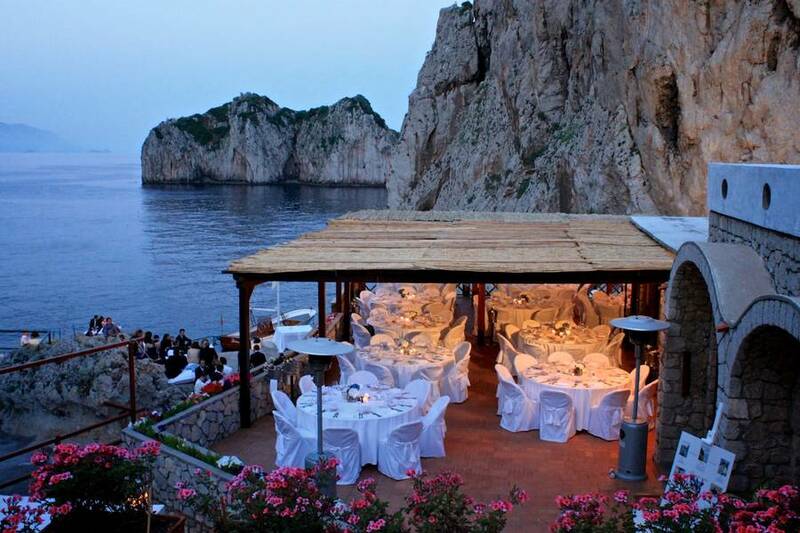 Da Luigi ai Faraglioni can, upon request, host weddings, parties, and private events, and provides a shuttle boat service to Marina Piccola to return to the center of Capri, by taxi, bus or on foot. 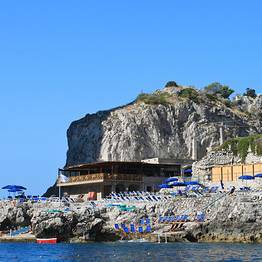 Da Luigi has a small private jetty for shuttle boats running to and from the beach club la Canzone del Mare in Marina Piccola, owned by the same family. 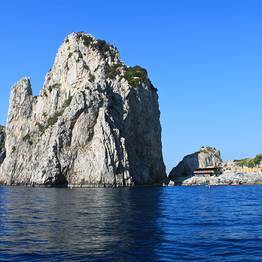 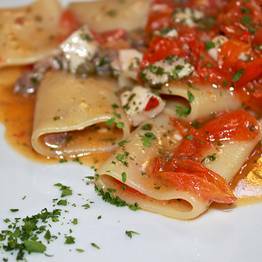 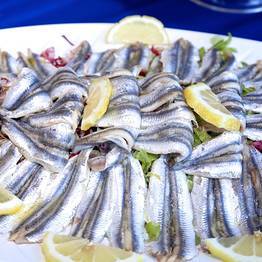 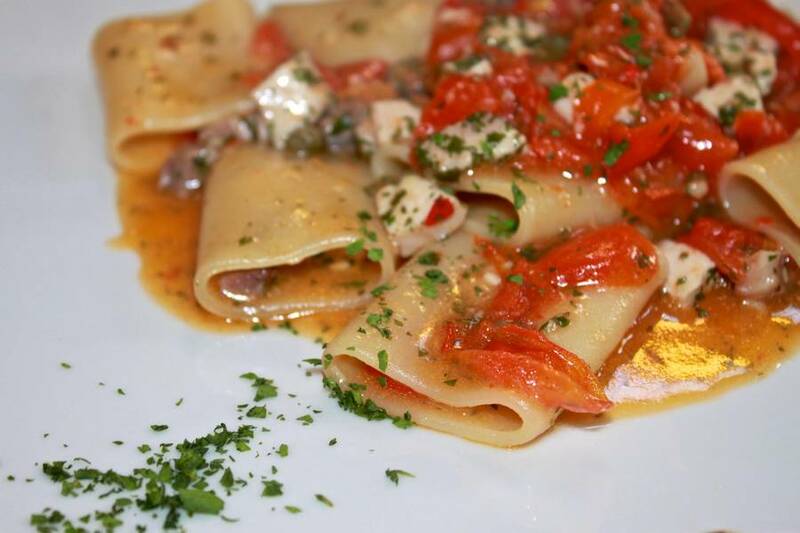 The Faraglioni are one of the symbols of the island of Capri. 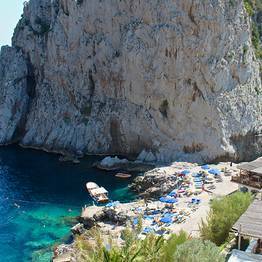 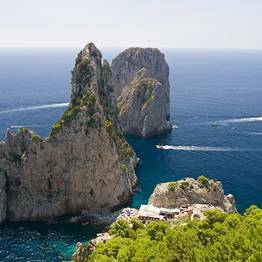 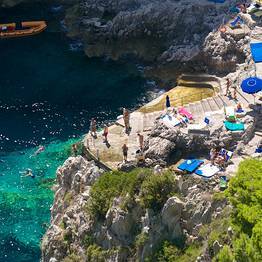 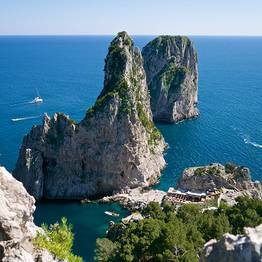 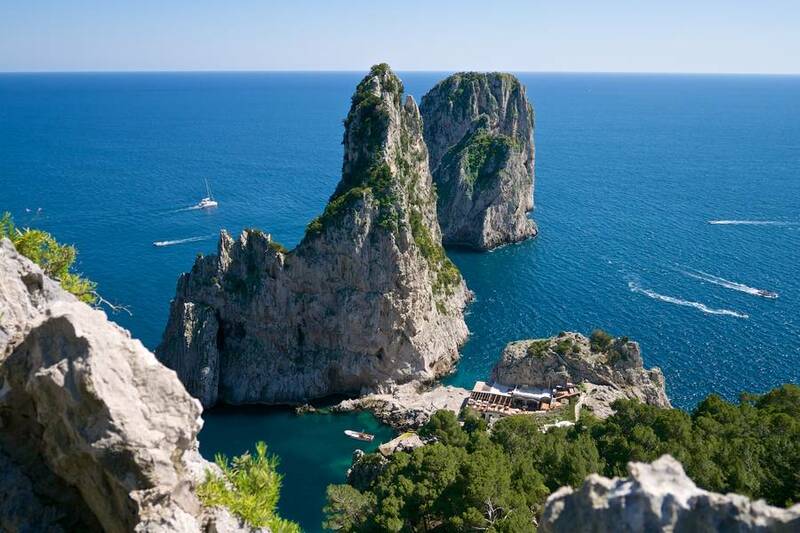 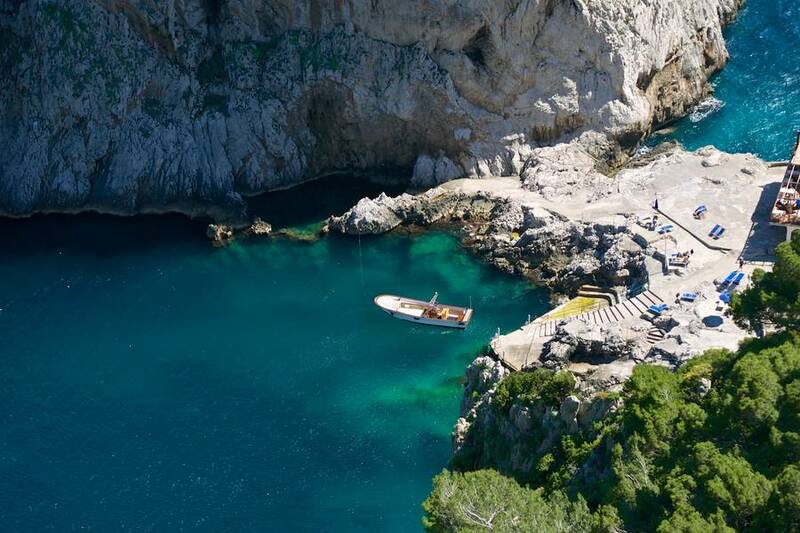 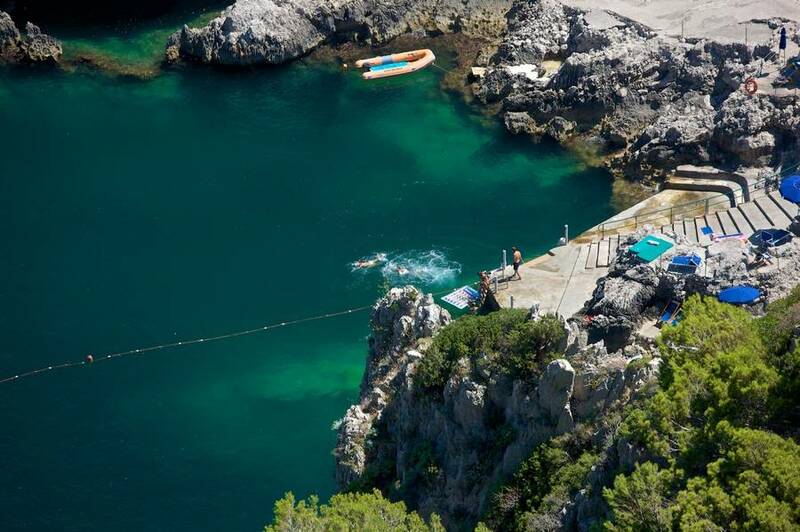 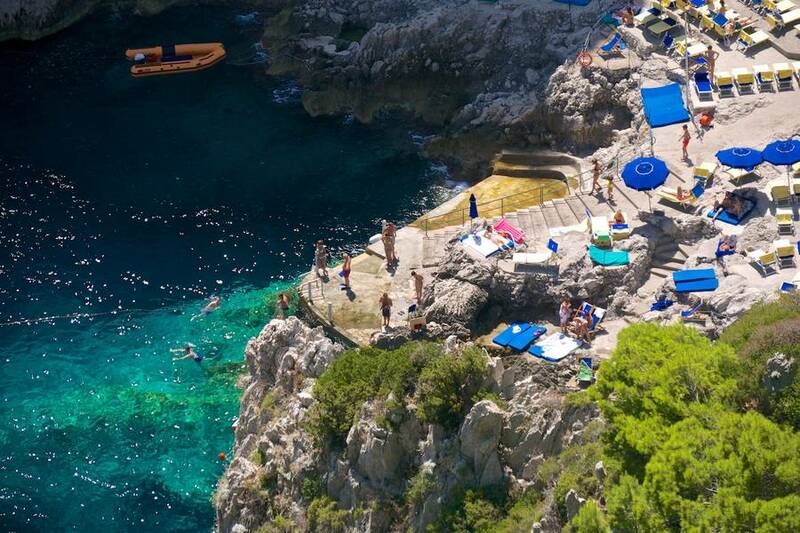 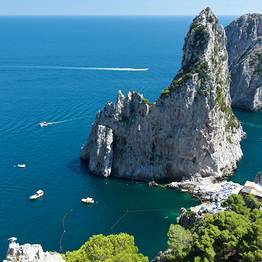 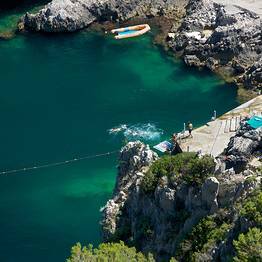 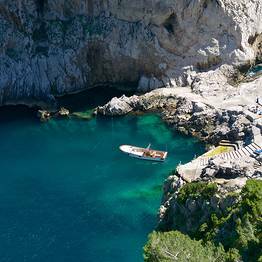 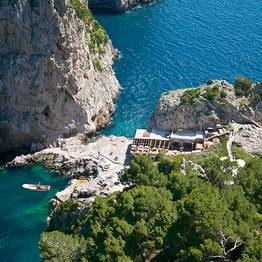 To reach Da Luigi ai Faraglioni, holidaymakers should make their way to the Belvedere Tragara, from where a pretty little path through the coastal pine trees leads down to the sea, the island's legendary sea stacks, and the bathing establishment.